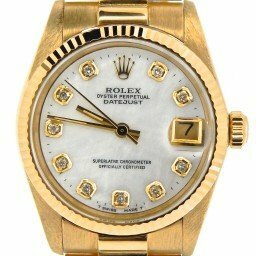 Rolex’s signature watch is no doubt the Datejust. Named after the now-familiar date window at 3 o’clock and flaunting the same overall style since its inception in 1945, the Datejust is a true icon in the luxury watch space. 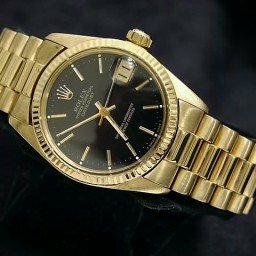 The Rolex Datejust collection is a vast one with plenty of sizes, materials, bracelets, bezel shapes, and dial styles to choose from. 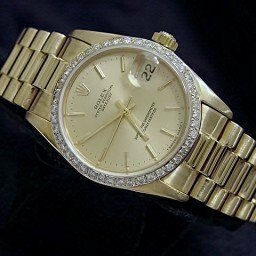 Today, we examine the yellow gold midsize Datejust watch—a timepiece fit for both men and women. Halfway between the men’s Datejust 36 and the Lady-Datejust 26 is the midsize Datejust, coming in at 31mm. 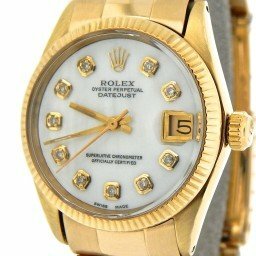 As with almost all Datejust watches, the yellow gold midsize Datejust is available with different types of bezel styles from domed to fluted to diamond-set. 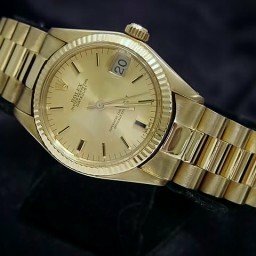 Furthermore, along with the Jubilee bracelet and the Oyster bracelet, the full yellow gold midsize Datejust also offers the choice of the prestigious President bracelet. Only Reserved for Rolex watches made from precious metals, the President bracelet is immediately recognizable thanks to its semi-circular three-link configuration. 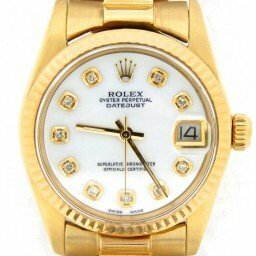 Depending on the production year, the yellow gold midsize Datejust comes with either an acrylic crystal or a more modern scratch-resistant sapphire crystal. Regardless of the material, however, all Datejust watches—and most Rolex watches with a date window for that matter—come equipped with a Cyclops magnification lens. The lens enlarges the date aperture by two and a half times for increased legibility. 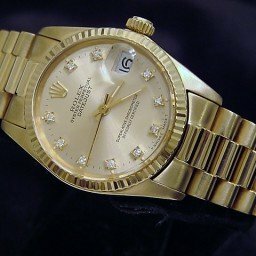 Similar to the majority of Rolex watches, the yellow gold midsize Datejust watches run on in-house automatic movements. 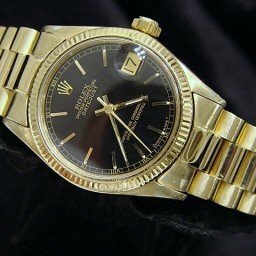 Early models of the yellow gold midsize Datejust dating from the mid-1970s until the mid-1980s carry the reference numbers 68xx. These are non-quickset date versions where the date must be set by manipulating the center hour and minute hands. 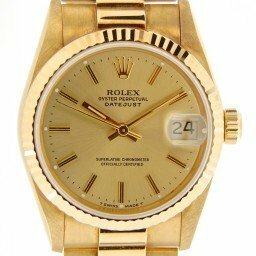 Also, these vintage midsize yellow gold Datejust watches come with acrylic crystal protecting the face of the watch. 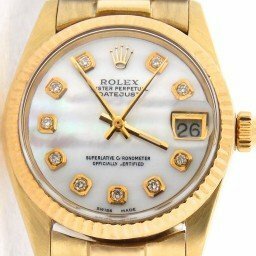 Rolex later replaced the above models with the five-digit 682xx references. 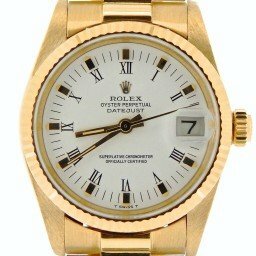 These updated yellow gold midsize Datejust watches come with quickset date functionality where the date is set independently from the time-keeping hands for improved practicality. Plus, their sapphire crystals provide better resistance to scratching. 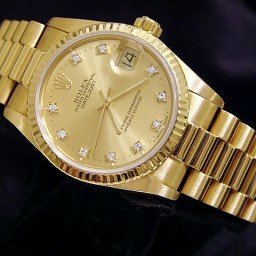 Rolex also offered diamond versions of these particular yellow gold midsize Datejust models for even more luxuriousness. 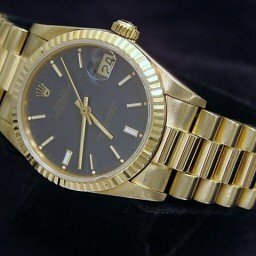 When Rolex launched their new generation Caliber 2235 automatic movement in the late 1990s, the brand also came out with new midsize Datejust watches to house them. 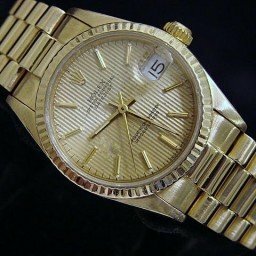 The yellow gold midsize Datejust watches from this era have the 782xx reference numbers.  In addition to the now ubiquitous quickset date function, this particular movement increased the reliability and accuracy of the midsize Datejust. 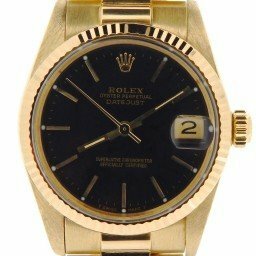 Finally, in the early 2000s, the current family of yellow gold midsize Datejust watches joined the Rolex catalog with the 178xxx reference numbers. While these models also run on the Cal. 2235 movement, they offer heavier bracelets and more secure clasps. 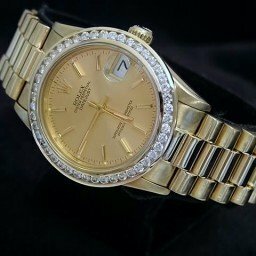 This is also the most varied yellow gold midsize Datejust collection with a large assortment of bezels styles, dial options, bracelet choices, and diamond variations. When you want an ultra-luxurious version of the midsize Datejust, the yellow gold model is the way to go. Crafted in precious solid gold and showcasing archetypal Rolex design hallmarks and functionality, the yellow gold midsize Datejust is one luxury watch to admire.